Click on any title to obtain more information on the contents, prices and language/format av​ailability. This USB key provides vastly improved search tools, including a detailed search-by-content that covers all ITU-T Recommendations in force. Recommendations not yet available in their final edited format are included in their provisional pre-published form. A wide range of electronic attachments are also included and or referenced for direct download from the ITU website. 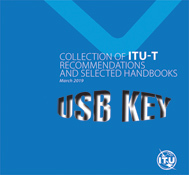 The USB key also includes a searchable collection of selected Handbooks developed by the ITU Telecommunication Sector in fields such as mitigation measures for telecommunication installations and their protection against electromagnetic effects, formal languages, outside plant, network security, quality of service and network planning. This quarterly USB key is available either individually or through a yearly subscription that covers four editions at a discounted rate. ITU-R Recommendations constitute a set of international technical standards developed by the Radiocomunication Sector of ITU on topics such as efficient management and use of the spectrum/orbit resource, radio systems characteristics and performance, spectrum monitoring and emergency radiocommunications for public protection and disaster relief. ITU-R Reports contain technical, operational or procedural statements prepared by radiocommunication study groups. 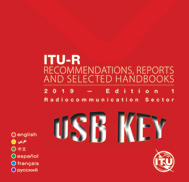 ITU-R Handbooks provide a statement of the current knowledge, the present position of studies, or of good operating or technical practice, in certain aspects of radiocommunications. 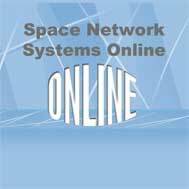 The collection of BR WICs (Weekly Information Circulars) and BR IFICs (International Frequency Information Circulars) for Space Services contains Parts and Special Section publications with information on the frequency assignments for space stations, Earth stations or radioastronomy stations submitted to the Radiocommunication Bureau by ITU Member State administrations. 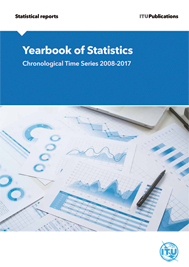 The collection is distributed on multiple DVD-ROMs and contains archived BR WICs compiled by time series (1965-1995) and from 1996 by year (1996-1999), and archived BR IFICs (from 2000 onwards) by year. The BR International Frequency Information Circular (BR IFIC) Terrestrial Services is a consolidated regulatory publication issued once every two weeks by the Radiocommunication Bureau, pursuant to the Radio Regulations (Nos. 20.1 to 20.6 and No. 20.15) and various regional agreements. 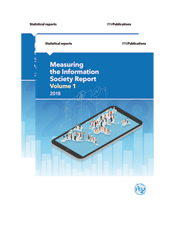 It contains information on the frequency assignments/allotments submitted by administrations to the Radiocommunication Bureau for recording in the Master International Frequency Register and in the various regional or worldwide Plans.The information published corresponds to the recorded assignments/allotments as well as the notifications in process. The BR IFIC may be consulted directly from the DVD-ROM without installing the data and software (some 4 GB). The BR IFIC contains the query software TerRaQ, the program TerRaNotices for creation and validation of electronic notices, the program TerRaNV for validation of electronic notice files generated by administrations, and the Preface in PDF format. The BR IFIC (Space Services) DVD-ROM is published at the same time. Online access to the ISO copy of each DVD is available for separate purchase or to subscribers of the DVD, upon request. BR IFIC Space Services is a service publication published every two weeks by the Radiocommunication Bureau in accordance with provision Nos. 20.1-20.6 and No. 20.15 of the Radio Regulations. It contains information on the frequency assignments to space stations, Earth stations or radioastronomy stations submitted by administrations to the Radiocommunication Bureau for recording in the Master International Frequency Register, as well as those that are submitted under the relevant provisions of the Radio Regulations or that are subject to the Appendices 30, 30A and 30B Plans. The information published corresponds to the recorded assignments as well as the notifications still being processed. The SRS database formerly sold separately is now available only in this DVD-ROM. 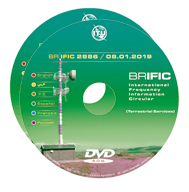 The BR IFIC (Terrestrial Services) DVD-ROM is published at the same time. For additional support and information, please see the BR support page at http://www.itu.int/ITU-R/go/space-brific/en. Online access to the ISO copy of each DVD is available for separate purchase or to subscribers of the DVD, upon request. Please see the current "Publication Notice" (below) for more informating on annual subscriptions.